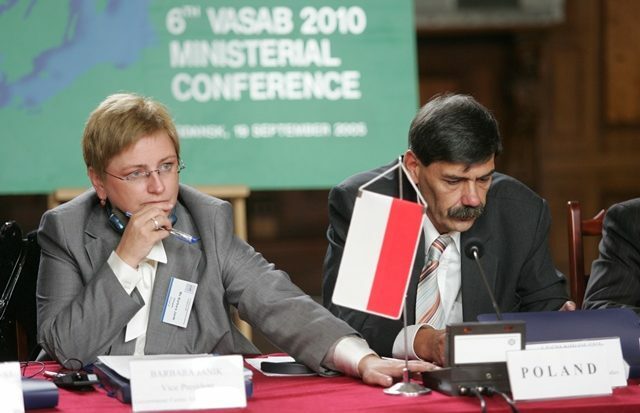 The 6th Conference of Ministers Responsible for Spatial Planning and Development in the BSR countries took place in Gdansk on 19 September 2005 under Chairmanship of the Government Centre for Strategic Studies which presided VASAB Since July 2004. The Conference was attended by national delegations from all BSR countries and by representatives of Pan Baltic organisations. The main reason to convene Ministers in Gdansk was a challenge to find better use of: existing potential of BSR organisations, EU Cohesion Policy and European Neighbourhood Instrument for speeding up the spatial planning contribution to the process of connecting the existing in the BSR potentials. 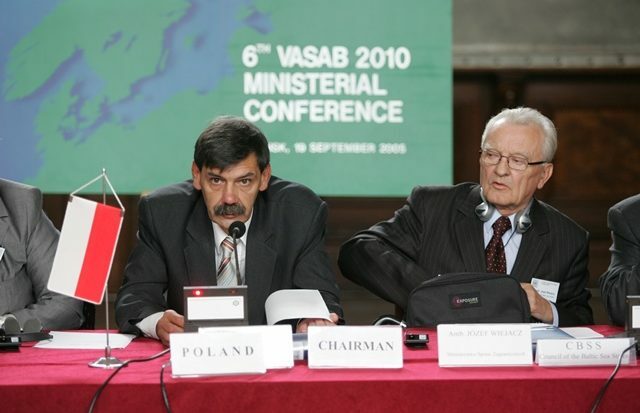 The conference has recognized that both the Vision and Strategies around the Baltic Sea 2010, adopted by the Ministerial Conference in Tallinn in 1994, as well as the VASAB 2010 Plus Spatial Development Action Programme, adopted in Wismar in 2001, continue to provide a good basis for co-operation between our countries. The conference looked for the right focus of the transnational spatial planning in the coming years in which the New Cohesion Policy of EU will be discussed and the new regional development Strategy of the Russian Federation will be implemented. This should increase the demand for better coordination through spatial planning and integrated spatial development. The Ministers have pointed out that the most important task for transnational spatial actions is to connect the existing in the BSR potentials and by that contributing to BSR territorial cohesion and global competitiveness. This should be done by focusing spatial work on city clustering at BSR level, improving accessibility within BSR and to other regions and strengthening BSR integration through transnational development zones (three out of six key themes adopted by the previous conference). The conference has adopted Gdansk Declaration and discussed the Policy Document Connecting Potentials prepared by the Committee on Spatial Development in the BSR. The Conference has assigned Committee on Spatial Development of the Baltic Sea Region with the five key tasks. The most important out of these tasks is preparation of a long-term perspective for the spatial development of the Baltic Sea Region with active participation of the regional authorities and in dialogue with relevant pan-Baltic organisations. In future, EU Cohesion Policy could be better adjusted to the specific features and diversity of the different pan-European regions. It should take advantage of their specific potential and address key development issues. The Structural Funds Programmes, within all the three objectives, and the European Neighbourhood and Partnership Instrument should take the consequences of their actions for spatial development into account. It is important to continue the future transnational cooperation programme in the Baltic Sea Region within the current INTERREG III B boundaries in order to maintain strong instruments for the implementation of a coherent spatial development policy in the Baltic Sea Region. Relevant research should be undertaken to provide a more precise specification of the needs and means for connecting Baltic Sea Region potentials into synergic network systems. Research programmes, such as ESPON 2, could provide more focused research on the specific territorial characteristics of European macro regions such as the BSR.